Sonya Miles looks at methods of assessing and managing these symptoms in exotic species. Tim Adams details various cutaneous conditions that can present in horses during these seasons, as well as ways to treat them. Chanticleer casts a weather eye over more areas of discussion within the veterinary sector. Gerhard Putter – one of only a few dental diplomates in the country – explains how he became a specialist veterinary surgeon. 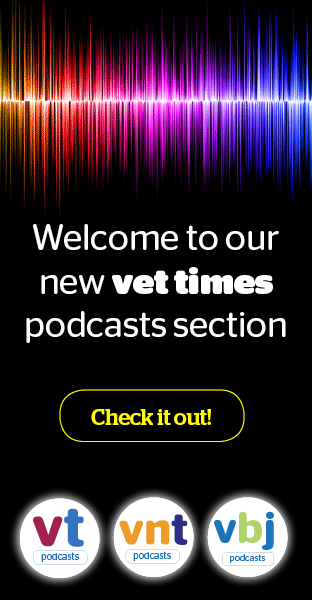 Veterinary professional Kelly Freezer, head veterinary surgeon at Bright Side Vets in Swadlincote, Derbyshire, discusses her career. Sarah Gough and David Rendle discuss the diagnosis and treatment of mild and marked forms of the disease, including environmental management. Alex Gough looks at some of the latest studies in the veterinary arena in his latest Research Review column. Difficult client or difficulty with communication? Vet and director of Vet Dynamics Alan Robinson describes how understanding your frequency can help you play to your strengths, and develop a flexibility of style to improve communication. Hayley Giles and William Woodley detail their experiences when visiting a charity-run facility on the island that treats and provides a home for strays. Veterinary Management Group president Gillian Page, RVN, uses her experience of setting up a practice to explain – ahead of her “New to management” lecture at BSAVA Congress – how a well-managed workflow is vital for staff well-being and strong business performance. Sonya Miles recalls the case of a four-year-old female snake that presented with a erythematous lesion to the ventrum. APHA shares scientific presentation extracts from the one-day Diseases of Wildlife Scheme conference.